Completing the GRE® Subject Matter Test in Psychology will help the prospective graduate student showcase his or her knowledge and expertise in the social science of Psychology. All GRE Subject Matter Tests are accepted at most colleges and universities and offer additional standardized information regarding the applicant’s ability in Psychology. While a Subject Matter Test may not necessarily be required for admission, an exceptional score in this subject can serve to help the student’s summary and records be positively noticed in the graduate admissions process. The GRE® Subject Matter Test in Psychology contains about 205 multiple choice questions, each with five elections for the student to analyze. The student will choose which option is either the correct or the best answer. A graph or an experiment may be offered as the foundation for several questions. The student will need to show expertise in analyzing relationships, recalling factual information, applying principles, drawing conclusions from data shown and evaluating research designs. The student will receive three (3) separate scores in the GRE® Subject Matter Test in Psychology: a total test score and two (2) subscores. The subscores received are derived from the two largest portions of the test, Experimental and Natural Science and also Social and Social Science. The Experimental subscore will show ability in language meaning, syntax, and units as well as speech perception with verbal and nonverbal communication as well as bilingual language; learning-conditional (classical, instrumental, and observational); also working and long-term memory along with types of memory and its systems and processes; thinking (problem solving, categorization, imagery, scripts, and schema), personality and behavior; and physiological/behavioral neuroscience. The Social subscore will showcase skills and knowledge with regard to lifespan development, personality, social perception, cognition, beliefs, attitudes, behavior, emotion, motivation, conformity; group processes and cultural and gender influences; evolutionary psychology as well as clinical, social, and abnormal science. The student will need to show aptitude in analysis of the theories, applications, and issues related to each of the different content categories. While the test is lengthy, no student is expected to be familiar with all subject matter or be able to answer all questions correctly. Many multiple choice questions, along with the lengthy scope of the test, have been proven to work to the student’s advantage in allowing the student to fairly, accurately, and systematically evaluate his or her knowledge of the test material. The student may obtain a maximum score on the GRE® Subject Matter Test in Psychology without actually answering all the questions correctly. 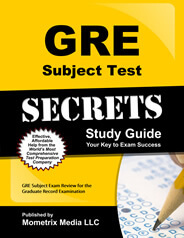 The GRE® Subject Matter Test is offered worldwide in October, November, and April. Registration may be completed online at: www.ets.org/gre/subject/register/centers_dates. 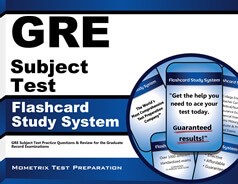 To begin the registration process, create a My GRE® Account and choose a date and a testing location, making certain that the chosen test date will be sufficiently early enough that your test scores will be received by the educational institution in time to be considered as part of your college application. Registration and payment may also be completed by mail by downloading and completing the registration form from the GRE® Bulletin online. Regular registration for a test in the United States, U.S. Territories, and Puerto Rico is $140 USD per Subject Test; all other locations, $160 USD. Payment may be made by credit or debit card, PayPal, E-Check, money orders, certified checks, and Western Union, or by mailing a check to ETS-GRE. Payments may be made in British pounds, Japanese yen, Euro, or Canadian dollar. Late registration can be requested online for an additional fee of $25 up to one week after the regular registration deadline. Standby or change (changing test center OR changing subject test) fee is $50 per situation. Scores may be requested by phone ($12) or you may request an additional score report ($23 per recipient). All Subject Matter Test preparation study materials are free and are sent to the registrant after registration is complete. Service Candidate Profile Listing is also free for registrants, matching your profile with fellowship sponsors. On the day of the test, you should arrive at least 30 minutes before the test is scheduled to begin. Late arriving test takers may not be admitted to the test site nor will fees be refunded. Bring with you: your admissions ticket, 2 forms of acceptable identification, 3 or 4 sharpened number 2 pencils, and a good eraser. You will mark your answers on a machine scored answer sheet separate from the test booklet. You may not bring mechanical pens or pencils, any food or drink, tobacco, weapons, cell phones, smart phones, PDAs, or any electronic devices. Personal items other than your identification are not allowed and no personal storage will be offered. Scarves, hats, jackets, etc., may be searched. Seating is assigned. The test will take 2 hours and 50 minutes; allow for up to 3 1/2 hours total time at the testing site. If you require any health-related special accommodations, these must be requested in advance. The procedures for this request are available on the GRE® ETS website.